The success of your e-commerce store depends extensively on its performance. Its pages must load at a reasonable speed, else your customers become tired of waiting and may look to other stores to do their business. Hence, you must avoid this and similar problems as much as possible. However, it will interest you to learn that the main causes of performance issues are not hidden anymore. Hence, tackling them is easier, since they have been identified already. You can tackle these problems methodically while working through each potential issue. You should note that your goal while solving these problems is to find one or more solutions that will reduce your loading times. For this chapter, the discussion is going to cut across the reasons for your store to load as fast as possible while explaining what can hinder it from doing so. After this comes the aspect where we will guide you through three easy methods to improve the performance of your WooCommerce store. As insignificant as a little bit of slowness in loading your store pages may be, it can be a major problem, one that can be a deal breaker. Long loading times can affect your conversions adversely, and they are associated with high bounce rates. Bloated Plugins: When you use plugins that are not well built or optimized for others, they tend to slow down your site. Using the Wrong Hosting Plan: Another reason for your site’s poor performance may be because you have outgrown your plan. Poor Site Optimization: It is essential you ensure your site is running in top shape, anything otherwise is capable of slowing it down over time. A Slow Web Host: Web hosts are set up in ways making them unequal in speed. While some are slow, others are fast. For now, we will stick to the assumption that the problem is not coming from your web host since that usually implies having to switch to a new host. Instead, we will tell you how to optimize your store using a few hands-on approaches. Though the ways to improve the performance of your store manually are numerous, the three methods discussed in this aspect are tipped to provide you with a great boost as soon as possible. Product images go a long way in determining the performance of any online store and might affect your conversions. Hence, there is the need for you to be as professional as possible, by using photographs of good quality. However, a problem arises in the fact that high-quality shots tend to take up more space, slowing down your site as a result. On installation and activation, you will discover that this tool works just like any other plugin. 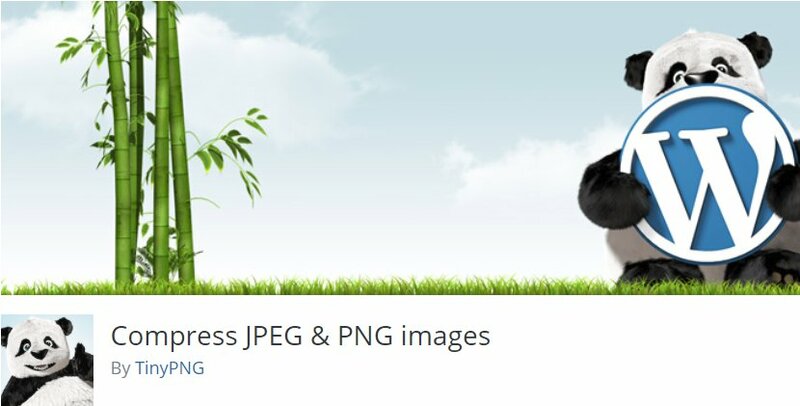 Once installed and activated, you will be able to automate the optimization process for any image you upload. However, if you want to go about this manually, you can employ the web version of the same plugin, which gives you the option of optimizing up to 20 pictures at a time. Having ascertained the fact that all plugins and extensions are not designed to be light on server resources, with some actually being able to slow down your store due to poor optimization. Try seeing if from this angle, with each plugin you add comes with new functionality for your site. In some cases, however, this addition is done inefficiently, hence slowing everything down. After you have deactivated each plugin, proceed to test the loading times of your site and check for improvements. If there is minimum or no improvement on the speeds, reactivate the plugin you have disabled and try the next one instead. Be reminded that there is a possibility of seeing some small variations during each performance test. To get a complete picture, it is recommended to conduct a few of these tests and average the results. Server distance and load are two of the most significant factors behind poor website performance. Perhaps your servers are too far away from the locations of your visitors, or they are overloaded, then your site can load slowly. To tackle this issue, you could use a Content Delivery Network (CDN). CDN works by distributing cached copies of your site/web store to nearby locations from data centers around the world. This lightens the load on your main servers and optimizes the performance of your site. A highly recommended CDN is the CloudFlare, due to its top free tier. Another plus associated with using the CloudFlare CDN is the ease in its integration. Other alternatives worthy of consideration include Jetpack’s Photon, which enables you to cache the images of your store. However, it is not as powerful as CDN, though it is easy to set up and is very capable of improving the performance of your store. There is no need to panic or worry if your WooCommerce store is taking longer than normal to load, it is something common to numerous other websites. There are many ways of speeding things up; from working on optimizing the setup of your store; considering a new hosting plan or a different hosting provider. Having restored your website back to a good shape you can start considering the expansion of the potential of your great WooCommerce store.